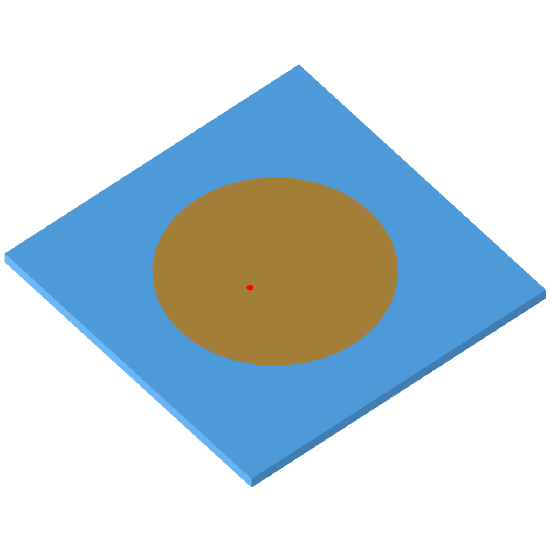 Image of the Circular pin-fed linearly polarised patch. Microstrip antennas, also called patch antennas, are very popular antennas in the microwave frequency range because of their simplicity and compatibility with circuit board technology. The circular patch has similar traits to the rectangular patch regarding gain, beam position and efficiency. The circular patch differs in the following manner compared to the rectangular patch: slightly narrower beam width, narrower bandwidth, and smaller physical area.